EA has confirmed the latest update a customized version of FIFA 18 will come to console, Nintendo Switch. The release of the latest update of FIFA 18 is on the way and fans are considering which consoles would be the best to go for. 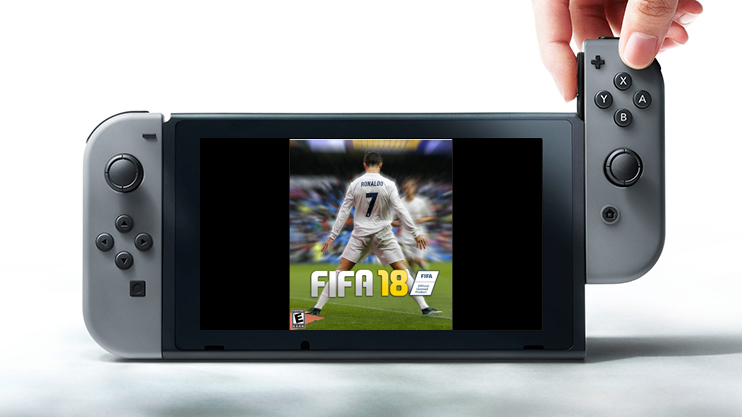 Amidst all this excitement, FIFA announced that custom-built version will be created for Switch as well. Also, there has been reports that the Nintendo version would be based on the edition that comes out for PlayStation 3 and Xbox 360. The COO’s response regarding the same proved the facts truthfully. FIFA comes up with such amazing modifications every time, which leaves the fans awestruck. One of those remarkable implementations was The Journey Mode. It garnered a lot of applause from gamers. The Journey was a mode added in FIFA 17 with the idea to induce adventure into the game. In this mode, we see gamers following a young footballer called Alex Hunter. Along with it, the mode featured dedicated characters, cut scenes, and appearances from real-life players and managers. Well, this sounds to be a pleasing news for the gamers. They are now waiting for the custom-made FIFA 18 version to come on Nintendo console. As per FIFA 18 Update the game is schedule to release on September 26, 2017 and demo version will release on September 12, 2017.